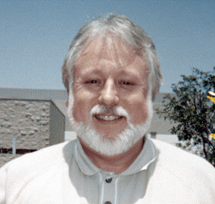 Mark Ashcraft has been an automotive enthusiast all his life. He pretty much lives, eats and breaths cars. He built model cars when he was a boy, worked at his family-owned Saab, Fiat and Citroen car dealership as a teenager and spent over 30 years as a car designer for Saab Design in Sweden and Honda R&D North America in California. He loves motorsports and has raced and rallied his own cars since he was 16 year old. He has a particular fondness for vintage Saab V4 cars and now owns the Saab V4 parts and restoration business his father Jack Ashcraft started in the late 1980’s. 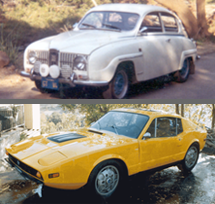 Ashcraft SAAB V4 Parts and Restoration sells parts, offers component rebuilding and mechanical restoration services for the SAAB V4 cars imported to the USA from 1967 to 1974. This includes the model 95 wagon, the model 96 Sedan and the model 97 sports car or Sonett. We fabricate replacement and specialty parts for these cars that are not available from any other source including weather strip and chassis sheet metal. Many of the parts we sell come with complete step-by-step instructions aimed at the “do it yourself” person and home mechanic. We also offer a full range of books on servicing, rebuilding, restoring, and improving the performance and reliability of these cars. Mark is a graduate of the Art Center College of Design where he majored in Transportation Design. He also taught and developed courses at the Art Center and Otis College of Art and Design in vehicle design, industrial sketching and design research. Mark does all of his renderings by hand using the skills and techniques he mastered over the past 35 years. Although he specializes in automotive art Mark enjoys illustrating all types of transportation vehicles, past, present and future. 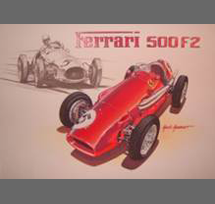 He sells limited edition prints of his art, does original art consignments and offers his services as a professional automotive design consultant.